Sweet potato smoothie… it’s really a “thing”! We were mind-blown when we were introduced to the mighty sweet potato toast… so I literally have no words to describe our reaction when we had the pleasure of meeting the scrumptious Sweet Potato Smoothie. 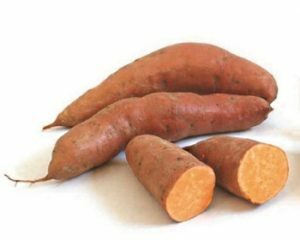 Ok, so get this… sweet potatoes are not only mmmm mmmm good… they are an excellent source of vitamin A and C, both vital for supporting immune function and protect cells against aging and disease. Plus, vitamin A is key for maintaining healthy vision and organ function. But wait, there’s more! Sweet potatoes are also packed with energy-supporting B vitamins and minerals, including potassium. Is potassium important? Um… yes. It flushes excess sodium and fluid out of your body, which lowers blood pressure and reduces strain on your heart. Potassium also helps regulate heart rhythm and muscle contractions. Who would’ve thought that by enjoying this mouthwatering treat, we were supporting and protecting our bodies! Well, you’re smart and healthy so probably did… but I know I don’t think about stuff like this. Place potatoes in steamer basket over 2 inches of simmering water and cover to steam for 5-10 minutes - until fork tender. When finished, let potatoes cool slightly. Add all ingredients into blender and blend until smooth, scraping down sides as needed. Taste and adjust sweetness as needed. Add more banana (or maple syrup) for added sweetness. 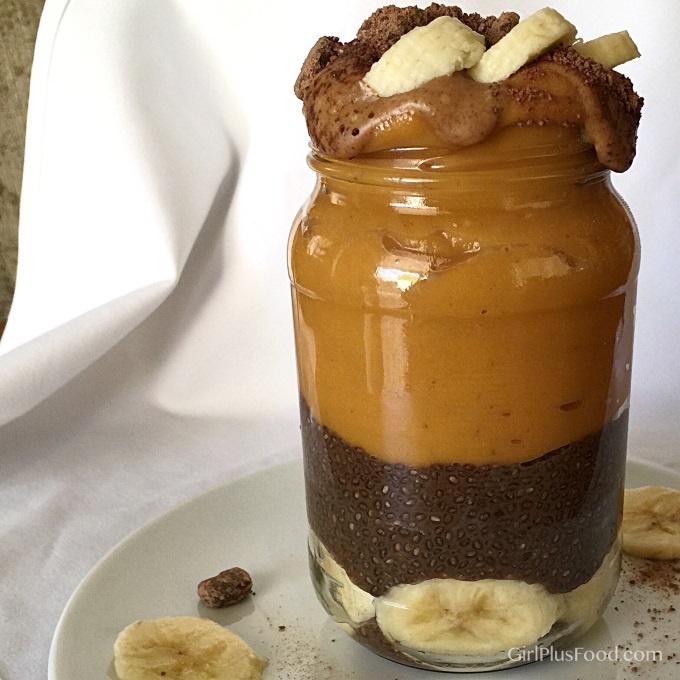 We served ours over chocolate chia pudding and drizzled almond butter on top of it! Enjoy! This looks delicious! I can’t believe it’s so nutritious too! Thank you for sharing this, Carmen. Yes, you must try this, Lillia! Yummy and healthy!